Home Entertainment Destroyed Historical Sites Credited To Our Stupidity! A loss to Humanity! Destroyed Historical Sites Credited To Our Stupidity! A loss to Humanity! How we all love to lend a great listening ear to the greatest historical moments of the world? It is a pity that we global citizens make no efforts to save it. Forget making efforts to save the historical steps that mankind has left behind; there have been instances of people being careless enough to destroy something that had been reserved for hundreds of years. Call it plain stupid but people have been vandalizing the historical treasure that had been so far saved. Some of the Destroyed Historical Sites are credited to our stupidity and here are some of them! The beautiful Hindu Kush mountains and even beautiful and serene were the two Buddha Statues that were carved into a cliff in this central Afghanistan Range. “Were”, because they are no more! Along with the entire world and media, the United Nations begged the Taliban to spare these statues, but as was expected, it was impossible to reason with the Fanatics group that had decided to destroy all Non Islamic statues and constructions. And hence, were lost the 1700 year old statues but nothing but sheer arrogance and stubbornness of some religious Group claiming to be on the right path! Okay so we all agree that a part of the wall was certainly destroyed in the Cold War and we can recall Reagan’s famous words too. As if this is not enough, and do not count for the satisfactory loss of heritage, the other remaining part of the Wall was being torn down to make room for luxury apartments , a move that had angered many Berliners who have been protesting ever since. Convincingly, this wall is a huge symbol of communist oppression, and this demolition was stressed enough, to have David Hasselhoff rush to the site to stop it. May be his name was not German enough because they decided to move ahead with the demolition anyway. And so the wall is no more! Sigh! The Apartments! Shut your eyes and think of the Rosetta stone. Try the google search and you would agree that this piece of stone can blow your mind. 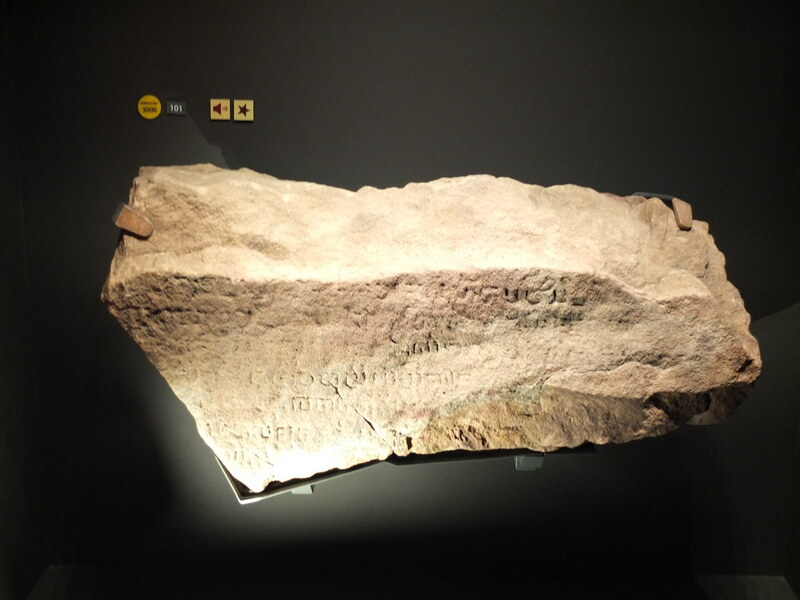 Now imagine a big brother to the Rosetta stone. This colossal boulder was 3 meters high and 3 meters wide and stood at the entrance of the Singapore River. Almost alien, it had some inscriptions on it which no one had been able to decipher so far. Now, here is the amazing part. The stone and the area surrounding it were considered holy. And there was the need to find more to this mystery. So we blew it up ! Actually! In 1843, the land where the stone was resting was given away to the construction of the Fort. While carting the stone to a British Museum or something to that effect was stupid, the British Army blew it up to pieces and used the rubble in the construction. Housing Australia’s grim offshore Detention Centers, the tiny island of Nauru was known as a paradise. The tropical vegetation found here was so dense that they officially named it the “Pleasant island”. Try checking some earlier pictures and you would not believe that they are from this planet. The beaches are just too perfect to be true. Unfortunately for the inhabitants, their Pleasant Island was lying over the country’s biggest deposits of phosphate on the earth. After declaring themselves free in 1960, the inhabitants formed a new government. But the woes of their lovely home being devastated did not end. The new government continued mining the area for phosphate and eventually nothing but the Barren Land was left. So technically, Nauru does exist on the map, but it is not the Nauru that was. Picture the 18th century England. Classy, refined and lot of etiquettes. 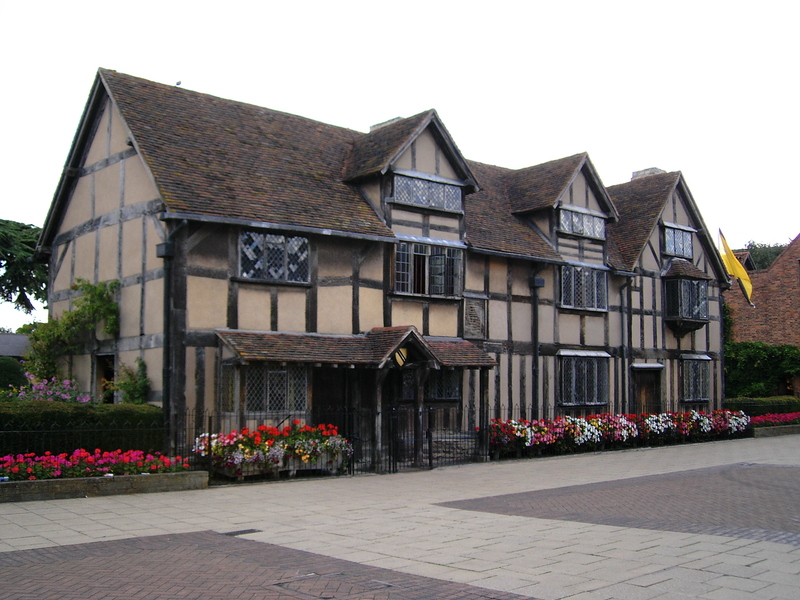 A small town of Stratford-upon-Avon, where Shakespeare lived in all his glory and intellect! Everything of the house was intact. The writing desk, the old rugged look, the place where he must have had his imagination running wild when he was writing the tempest; r the rooms where he must have sat looking out of the windows thinking about his next sentence. All this was intact. Then a man named Reverend Francis Gastrell purchased it. And six years later demolished it. For many this instance boiled down to irritation and anger. Why would you demolish the house is the first question that pops up. Then if you had to demolish it, why did you buy it in the first place? Gastrell was basically fed up of people walking by and looking at his house. So he got rid of it! Just what rationale justifies that? But he had to move out of the town to escape the anger of the locals though! Let’s blame the Beijing Olympics 2008 for this! No actually not! A lot of work needed to be done to ready the city for the biggest event. The preparations included the state of art technology, stadiums, better road ways; almost everything had to be in place. There was no land to build what they planned. So they thought the best would be to demolish the existing structures and make new ones. Now because you cannot make people homeless and demolish their homes, so you go ahead and demolish the ancient structures and make more space. And so was targeted the 680 years old Taoist that had been named the most significant cultural sites of the country. So while the country spent 22 Billion USD to completely redo the city for an event. But the real cost was the loss of the Chinese Culture. These have been destroyed by the excavation machines and bulldozers to make space for an IKEA store; yes you read that right, for an IKEA store in Nanjing, China. These tombs were made out of green bricks and ornate lotus patterns and were a rich source of culture and heritage. 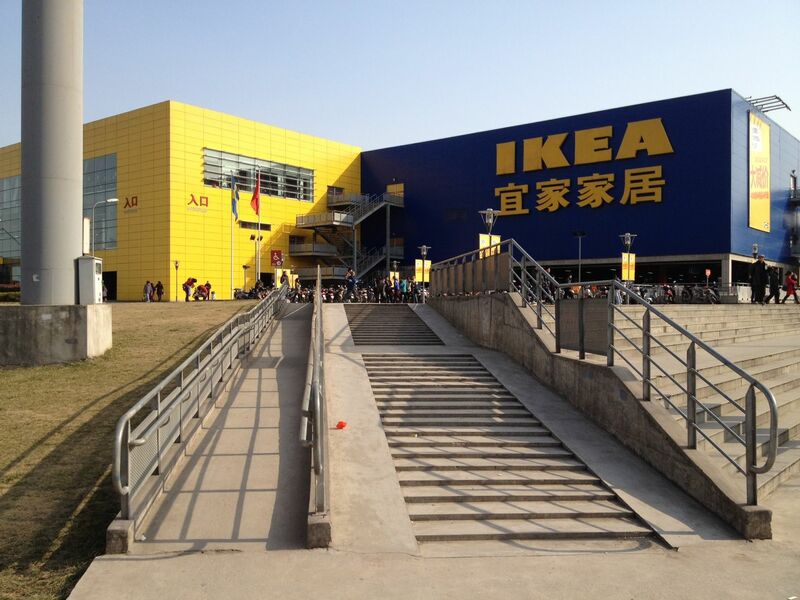 But for the Chinese Business barons, the maze like Ikea store was more important and then did not care a bit. Makes me wonder what is so great about the IKEA store anyways? One of the Belize Mayan Pyramids was 100 feet tall and aged back to the 3rd century. This pyramid “was” amazingly beautiful and rich in culture and history. At the Nohmul Complex, this pyramid was destroyed by a construction company while they were busy trying to mint money out of crushed rocks. And gone was this Mayan Pyramid for the price of crushed rocks. Pitiful it may sound, but this has been a non-replaceable loss. Previous articleInnocent Children Born to Criminal Parents And Are Celebrities Now! Next articleWorlds famous luxurious homes that will amaze you! !